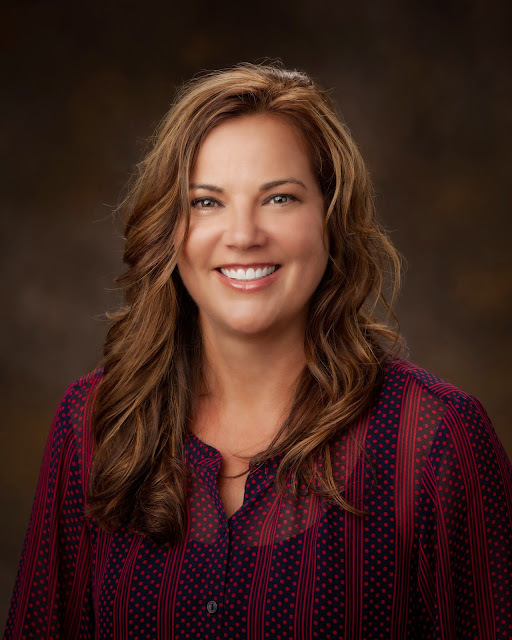 I'm so pleased and honored to have Virginia as one of our Spotlight Stories. Author of Beneath The Lie and The Final Pairing. I received Beneath The Lie for Mother's Day and I can't wait to read it. It will mean even more to me now that I've read this wonderful author's story. A native of my own state of South Carolina I knew that I had learn more about her. I truly believe that the best stories are the ones written by the person themselves. Virginia proves my point and I'm so glad she has graciously written her story for us. Please join me want you as we see how this talented lady got her start. When I first heard from Dolly asking if she could do a spotlight story about me on her blog, I was extremely flattered. I immediately went online to check out the Hibiscus House Blog and was delighted to find a photograph of my debut novel. Kudos to Dolly’s children for an excellent choice of a Mother’s Day gift…best present ever! Filled with excitement, I sat down to write about myself and BAM! Nothing. Nada. I couldn’t think of a thing to say. I’m so comfortable writing about my fictional characters, whose lives are much more interesting than mine, the struggle to detail my nonfictional life surprised me. But when all else fails, I guess the best way to begin is, well, at the beginning. I received my first writing recognition when I was in the sixth grade, many, many, MANY years ago. I’m not going to tell you how old I am. Just take my word for it; it was a very long time ago. I won the SC Lieutenant Governor’s award for my environmental conservation essay. How I managed to make environmental conservation remotely interesting, I’ll never know. With that early accomplishment, I envisioned clearly my future career path. I was going to be a writer. Fast forward one year later. In just that small amount of time I had lost sight of my writing goals. Can you imagine? A fickle twelve year old girl changing her mind? I know, it sounds ludicrous. But yeah, it happened. And it’s all Robbie Perry’s fault! During my seventh grade year I was blessed to study under one of the best algebra teachers to ever walk this earth. Mr. Perry, God rest his soul, taught me all about finding X, Y, and Z, developing my appreciation and love of the subject. He was a huge influence in my path through high school and college, where I declared and earned an undergraduate degree in accounting and a master’s degree in teaching. Currently, and for the last ten years, I have been teaching at Florence Darlington Technical College as a math instructor. I hope that Mr. Perry is looking down proudly, as I try to provide all of my students with the knowledge, wisdom and patience he bestowed upon me. So, after thirteen years of marriage, bringing two beautiful children into this world, and working at a job that I loved, life was pretty good. Except, I always felt there was a part of me that was missing. An expressive streak that had remained stagnant for years and was pushing at the surface to be unleashed. Don’t get me wrong…I was content with the life I was leading and counted my blessings each and every day. However, I needed something else to provide a spark to the mundanity of my very structured life. I was always an avid reader. I looked forward to escaping into the pages of a book to take a break from my own reality. My reading only increased with the advances of digital technology. With just the click of a button a book is automatically downloaded and ready to read. I do love my Kindle! So much so, that I can't tell you how many times my husband hid it from me because I became too engrossed in a book, I ignored my daily household duties. Which I replied with, "Matt, just get me a maid already!" During my marathon reading spells, I discovered some very talented independent authors, who bypassed the traditional publishing route and utilized new self publishing companies to get their work to the public. Spurred on by their courage and bravery, I set out to do the same. So, on January 1, 2013, I abandoned my traditional New Year resolutions, like losing weight and ramping up my non-existent fitness regimen. Because really, how many of us make those same resolutions year after year, only to fall off the wagon by the time February rolls around? Me, for one. Instead, I formed a new resolution…or goal, per se. A goal that had been a dream of mine since grade school. A goal that would surely spark my creative energy and ignite the passion that had been lying dormant for years now. I decided to write a book. And that’s how the Fabulous Five Series was created. Set in various cities throughout my home state of South Carolina - the greatest state in the whole US of A, I might add – the series is based on the lives of five childhood friends who reunite after college. Each book (or books in Suzanna’s case…because she got two) details an individual character as they face the challenges of adulthood. The series is in the contemporary romance genre, one of my personal favorites to read and write about. Just like four years ago, Suzanna finds herself escaping to her coastal haven to nurse a broken heart. Only this time she isn’t the one doing the breaking. Wyatt’s one hundred eighty degree turn since finding out about his prestigious New York City internship leaves Suzanna with a severe case of whiplash. His abrupt decision to no longer continue their relationship long distance, not to mention the naked woman lying in his bed, sends Suzanna spiraling into a state of deep depression. The Fabulous Five, Suzanna’s closest friends from childhood, are the only ones able to force her out of bed and back on the golf course. 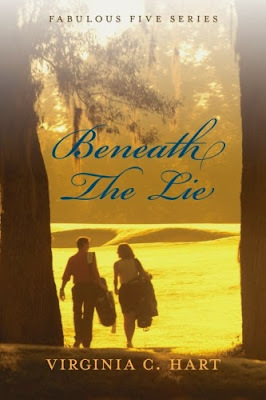 Patrick, Suzanna’s high school sweetheart, takes a special interest in Suzanna’s pursuit towards golf fame and he makes a point to spend as much time with her as possible. As they work on rebuilding their friendship, Suzanna and Patrick both realize they still harbor some rather intense feelings for each other. But exploring those feelings is complicated by Patrick’s engagement. Adding to Suzanna’s stress level, the rest of the Fab Five, Chloe, Landon and James all seem to have lost their minds. Suzanna soon discovers she is not the only one with something to hide. A summer of betrayals, threats, lies and secrets unfold as the scorching temperatures heat up the beaches of Garden City. Suzanna has to choose between focusing on the love of her past or fighting for the love of her future. 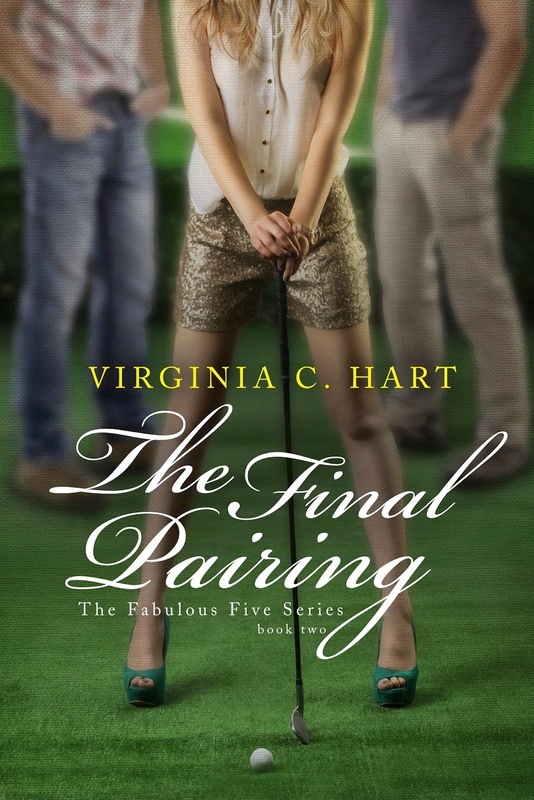 The Final Pairing is the follow up to Beneath The Lie, Fabulous Five Series Book One. It is the continuation and completion of Suzanna's story. As I sit here writing this riveting exposé of myself, (gosh, I hope I’m not boring you all to tears), I am currently on a writing sabbatical in Garden City Beach. A beach lover at heart, I always find inspiration whenever I’m near the coast. Plus, since the majority of Suzanna’s story takes place right here in Garden City, SC, it’s easy to pretend the whole gang is right down the street. Presently, I’m hard at work on the third installment of the series. Although yet to be titled, I can give my fans a little teaser. The concentration of the third book is all about Chloe Ryder, the character we all fell in love with in the previous books. Always wearing her trademark smile, Chloe is the most loyal of the Fab Five, devoting 100 percent of herself to everyone else. Chloe is also the youngest of the group by a year. So as the rest of her friends were off starting their college careers, Chloe was left behind to endure a hellish senior year of high school. Readers will soon discover that Chloe hides many secrets behind that fabulous smile. I can’t wait to bring Chloe into the hearts and minds of my readers. And as excited as I am about the turns and twists in Chloe’s fictional life, I’m just as excited about the cover for this book. Let’s just say it’s gonna be HOT!!! Some of my Florence peeps might even recognize my gorgeous cover models. Lots of surprises in the near future, so stay tuned. Well, there you have it. My journey as an author, which is still a work in progress. I’ve been blessed beyond belief with the support of family and friends who have encouraged me as I took on this new endeavor. I want nothing more than to bring an enjoyable experience to readers from the very first page to the last. Thanks you Dolly for this opportunity. And as always, happy reading! What an interesting read! I thank you Virginia for sharing with us! What a wonderful story. I can't wait to read your books and look forward to the new book. Folks check out the links below where you can find these fabulous books! Virginia C. Hart books can be purchased through amazon.com and bn.com. What a great book series concept. And isn't it interesting and fun to interact with the author! Great post Dolly. I did enjoy working with her and was so proud when she wrote that story. It's like a novel in itself I loved it. Thank you Kim!